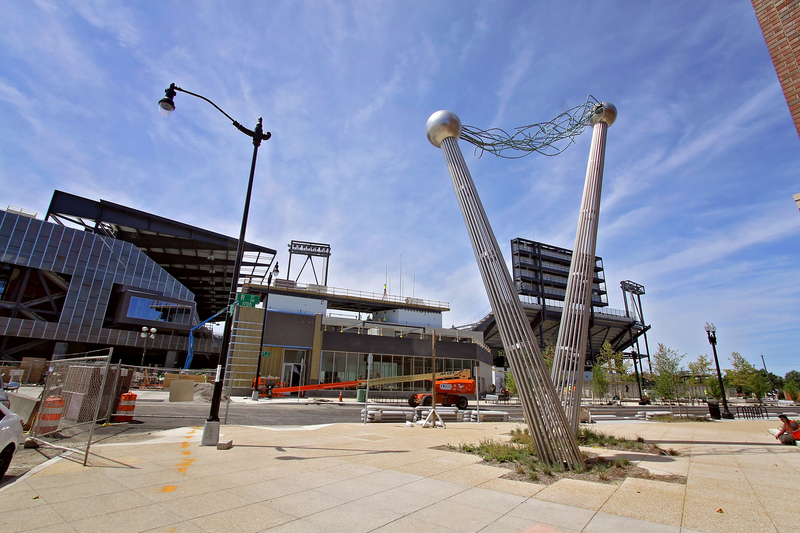 Located on the southeast corner of the new PEPCO Waterfront Substation, also home stadium for the DC United Soccer Club, the Flash Point sculpture illuminates the importance of the building that is its backdrop. The theme of electricity is imperative in DC’s newest region of development, the Southwest Waterfront neighborhood. Paying homage to Nikola Tesla and his experiments with high voltage electricity the monumental statue designed by David and Eli Hess has programmable LED light fixtures in the balls and towers to make the sculpture flash at night, simulating electricity.